BBC is reporting that a menu from Titanic’s first class restaurant will be auctioned off on 18 October by Henry Aldridge & Son. The menu, stuffed inside a coat pocket, is expected to fetch £70,000($112,528). A deck plan used to help a survivor find the way to a lifeboat on Titanic will be auctioned off as well. The 2,000-year-old Antikythera shipwreck in Greece is the focus of a Woods Hole Oceanographic Institution (WHOI) expedition reports LiveScience.com. The ship likely sank between 70 B.C. and 60 B.C while on its way from Asia Minor to Rome. It was found by sponge divers in 1900 and early efforts to retrieve valuables proved costly in human lives. Some of the earlier items brought up back then included bronze and marble statues of heroes and horses, jewelry, furniture, glassware and a a complex astronomical calculator called the Antikythera mechanism. Jacques Cousteau also dived to the sunken ship and brought up some amazing items as well. This most recent expedition from Sept. 15 to Oct. 7 also brought up some fascinating items as well. Also the dive allowed for the use of rebreathers to allow divers to spend more time down exploring the wreck. They also used high resolution 3D maps of the site that showed it much larger than previously thought. Another expedition is being planned for next year. As noted in an earlier posting, human rights activists in Toronto is calling for the seizure of the human bodies on display claiming many of the Chinese included were imprisoned or killed by that government. The Toronto Sun reports that Choose Humanity spokesman Joel Chipkar says the cadavers on display (which include men, women and children)were executed for engaging in such acts as belonging to group such as Falun Gong. Premier Exhibitions has not issued a formal response to the allegation. The Straus inheritors wanted to live big in Red Bank, New Jersey. So they decided to build a huge estate on 29,000 square feet that would have included a 27-room chateau had the Great Depression not slowed down and ended construction. They did build some fine buildings based on 18th century Provence and imported nearly everything to make it look right. What could not be imported was made by French and Italian artisans who came over to do the job. It was sold in 1951 and the houses became part of a co-op. This being a very wealthy area though, it was not a commune but a very nice place for those with lots of money to live in a lovely estate and share common amenities like a pool (important on those hot summer days). Now the whole thing is up for sale. Just fork over $10.9 million and it is yours. Pool included. 1. I like the ABC show Castle. And like everyone was stunned at how last season ended. We are now two episodes into this season and this is what we learned:that Richard Castle has a very dark secret. And somehow that caught up with him just before the wedding. And he apparently, in conjunction with others to cover it up (possibly not by choice), staged the disappearance and likely used drugs of some kind to permanently loose those memories. Does anyone think the movie Total Recall is being done on us just with a Castle twist? Personally it would have been more likely had old enemies of his father had staged it. Hey, maybe they did for all we know. Not really liking this at all. One hopes down the road Kate does not wake up to find it is the day of the wedding and all that happened really was a dream. 2. Hells Kitchen continues its tradition of D list cooks who seemingly fall apart under the intense scrutiny of Chef Hell (Ramsay) and his assistants. It is becoming easier though to pick the ones that are clearly just there to cause problems in the group. 3. Someone needs to tell the folks over at Amazing Race we really do not care or need to know someone really had to go to the bathroom bad during the race. But we also found out in the first episode that some people really are quite stupid. One of the real estate gals actually said the sun rises in the west and settles in the east. The stunned looks on the two who heard her say that was funny. Needless to say the real estate gals were eliminated. Hopefully by now they have figured where the sun actually rises and sets. And it has been doing it exactly that way for a very long, long time. *The dog days of summer are nearly here and nothing new about Titanic II. My last posting reported the Chinese government and Clive Palmer locking horns over money. They accuse him of misusing (or possibly embezzling) their money and he is demanding royalty fees. Looks grim right now for Titanic II being built in China. Perhaps somewhere like Dubai might be next on the list as a candidate to build it. *James Cameron’s Titanic is now streaming on Netflix (US). Kitchen Nightmares (US) seasons 1-3 are gone from Netflix but they now have seasons 4 and 5. They have the UK version as well. *Speaking of Kitchen Nightmares (US), it is finished. This last season was a rushed on Fox. They put episodes back to back so it went very quickly. The successful UK program was ended a few years ago as well. Many consider the UK version to be superior. The UK version has Gordon doing the narration and going to restaurants in trouble. While he gets in the faces of bad chefs and stubborn owners, the conflict seen on most US episodes is not there. The US not only has the usual problems with chefs and owners but lots of internal strife as well resulting in some rather volatile episodes. Many accuse the producers of hyping conflict, which might be true. It is also likely some purposefully manufactured the conflicts to get Ramsay’s producers interested. What cannot be faked though is the bad food and poor sanitary conditions that he finds. Many of the restaurants closed after Ramsay visited them. But to call it a “Ramsay Curse” would be inaccurate. All of the restaurants he visits are on the ropes and losing money. Calling in Ramsay is the equivalent of calling in the fire brigade to save a burning house. Ramsay often does offer solutions and way out but, alas, he does not control other things. Like lenders, lien holders, angry vendors, debt collectors, and government agencies to name a few. Even if a business can start making money again, the debt can be too high with interest and fees. In some cases, like Black Pearl, the minute Ramsay walked out went back to what they did before (and as Ramsay predicted closed within a year). Some have survived and are still open. Some closed a few years later due to the economy or other reasons. Ramsay tries to point them towards quality food served at modest prices to make money. Shortcuts are not allowed. Frozen meatballs are never as good as fresh. And microwaves are used only to heat sauces not to cook meals. Ramsay appears focused on Masterchef, Hells Kitchen, and Hotel Hell. *Speaking of Hell’s Kitchen, there was high drama in the last episode. Joy decided, in the middle of service, she could not take it anymore and left. Ramsay could not believe she was doing this and tried to force her to rethink the move. But up to the dorm she went after tearing off the black jacket she had earned and began packing. Andie (who along with James assists Ramsay) tried talking to her and getting her to reconsider. She seemed almost ready to go back and apologize but ended up sitting down too long to think about it. Time went on, the service was done, and she did not go back. So she was out. Gordon had seen much promise in her but her actions showed she was not ready to run a kitchen. Jason was stunned as were the others she walked out. But it was her choice and she now has to live with it. *When the name Walter Lord comes up, invariably people think about his two Titanic books (A Night To Remember and The Night Lives On) but he wrote many other historical books as well. He wrote about the Battle of Midway (Incredible Victory) and the Japanese attack on Pearl Harbor on 7 Dec 1941 (Day of Infamy). Both are good books and worth reading if you have the time. His narrative style puts you right there and learning a lot as you read. Some of his accounts, especially of the Pearl Harbor attack, are riveting. Check your local library to see if they have his books. Rumbold: I sometimes regard our whole organization as a ship at sea. Captain Peacock is at the helm, keeping his eyes skimmed. I am in the engine room making sure we all are going full steam ahead. And you men are the crew. Lucas: What’s it called–the Titanic? Have a good day or evening where ever you may be. *There is a petition going round demanding Titanic be raised. It is a daunting task. The wreck is two miles down requiring special equipment to get down that deep. Then there is the fact the rusting forward section is embedded into the sand making it very difficult to dislodge, if possible at all. Most experts argue it it is not. And if if it did work, what would you do with a rusting piece of ship once you brought it up? Sure you could tow it to a dock somewhere but considering it has been down there since 1912, it is not going to be pretty. 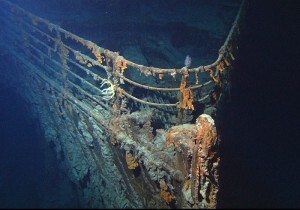 It is an idea born out of boredom not realizing Titanic is not just in two pieces, but disintegrating beneath the waves. Bringing it up will not slow that down but likely speed that up. Best to leave it exactly where it is. In peace, two miles down. *The Titanic Letter of Marine Protest is once again making news. Or should I say that press statements are making it news. This insurance form from 1912 includes a statement by Charles Lightoller (the surviving senior Titanic officer) as to what happened and signed by the other surviving officers. Some are saying that Lightoller is trying to play down the disaster for insurance reasons. Which is not possible considering how Titanic was front page news in 1912. For insurance purposes they needed to know the who, what, where, how, and why. And it is up to them to decide to pay or not. What was known was Titanic struck an iceberg and the resulting damage resulted in its sinking. Trying to claim Lightoller was minimizing what happened is nothing more than puffery to sell this item. The insurance was paid and the rest is history. *Father Frank (Francis) Browne, SJ (1880-1960) was a well regarded photographer, Jesuit priest, and a war hero. Early in his life he developed a love for photography.That would prove fortuitous when he was aboard Titanic and took photographs before disembarking at Queenstown (now Cobh), Ireland. Those photos would be reprinted in newspapers and made him well known. In 1916 he joined the British Army as a chaplain where he was wounded five times and received the Military Cross & Bar, and the Croix de Guerre. He took many pictures of his time during the war, collected them into a book, and gave it to his fellow members of the Irish Guard. Taking a trip to Australia to help him recover from ill health offered him a chance to take even more photographs there and of places on the way back home. In 1929 he was appointed to the Retreats and Mission staff of the Irish Jesuits which afforded ample time to take even more photographs. So well known for his photography that Kodak gave him film for life. He passed away in 1960 and as time passed his connection to Titanic and photography was largely forgotten. That is until Father Edward E. O’Donnell SJ, found a large metal trunk that once belonged to Browne containing negatives. 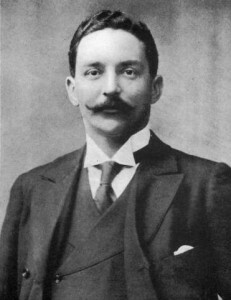 The photographs were assembled into books most of which have been published including his Titanic photos. A new book The Life and Lens of Father Browne (E.E. O’Donnell, Messenger Publications) is coming out that focuses on Father Browne. And possibly the first self photograph ever taken on its front cover. *Hell’s Kitchen has finally hit that moment when it is clear that not one of its contestants can cook well enough to be considered a recipe of the month for that shows calendar. Recently the remaining cooks were told to create a dish that was both stunning for the eyes and palate. Three former contestants from that show, who each have recipes in that calendar, assisted Chef Ramsay decide who won. Each judge could award a maximum of 5 points for each dish. Not one of them achieved anything above a 3, which is simply okay or average. One gal did the unthinkable and put raw flour in her mashed potatoes. One does not need a degree in food science to know that raw flour needs to be cooked. And putting it in mashed potatoes will not thicken it up but make it inedible. Finally the last person up presented a dish whose ingredients she had never cooked or really tasted before. That sent Gordon Ramsay banging his head into the proverbial wall and leaving the judges incredulous. Jason, who is a real donkey’s behind, has gotten steadily nastier on the show. At this stage we ought to be seeing the best rise to the top. Instead we get nothing but average to substandard cooking from people who cannot seem to manage their time or bother to cook their dishes perfectly. This could be the season where Gordon says no one impresses him enough to be hired. On Kitchen Nightmares he walked away from Crazy Amy when he realized he could change nothing. Perhaps this is one season where there will be no winner. *It never ceases to amaze me when I see a news blurb saying “new information about Titanic sinking!” and it turns out to be a shill for the Titanic/Olympic switch theory. The theory is bogus and demonstrably false. All one has to do is look at the wreck to see it is not Olympic. There is an industry to feeds on such conspiracy theories from saying the moon landing never happened to 9/11 Truthers saying it was a government conspiracy. *Ghost sighting at Titanic cemetery! A man claims he captured the image of a ghost. Real or imaginary? 1. Robert Ballard has begun his 2014 Caribbean and the Gulf of Mexico Exploration. He and his crew will research marine ecosystems and tectonic activity over the next four months. People can view the progress and other details at www.nautiluslive.org. Visitors to the free exhibition will get to see an assortment of items from the liner’s passengers and crew, including some of the beautiful china dinner plates used to serve meals aboard the stricken ship. Also on show will be the nameplate from one of Titanic’s lifeboats which collectively saved 706 of the 2,223 passengers.There are also rare examples of tributes made in the aftermath of the sinking, including Titanic relief fund cheques which were given to help support the families of those who were lost. Admission is free. For information about the museum, click here. 3. The tragedy of the sunken South Korean ferry is an opportunity to revisit better ways to save lives at sea. Clive Schofield notes that with more cruise ships going into areas not traveled before for adventure cruising(and given the fact many who are on cruise ships are older people), the need for better approach is at hand. He suggests liferafts over lifeboats since the former deploys much faster (in minutes when time is crucial). Also passengers need to be marshaled on deck quickly rather than remain below and possibly die (and divers possibly dying getting to them). *Summer is nearly here and most schools are finished for the year. When I was a kid, my mother had to devise ways to keep us from hanging around the house. That meant day camps, athletics, and swimming aside from whatever chores we had to do. I have no doubt she would have confiscated smart phones, computer games, and locked out the computer had we had them back them. Oh and the television would be embargoed as well. *Being kind of a fan of railroads, I like occasionally to play computer simulation games. I tried a demo for one called Rails (Belight Software). It is based on a game called Short Rails from a long time ago. Essentially you run a short line railroad and have to handle the assorted issues of routing trains etc. But the new version is not so good. Track layout is restricted, stations appear randomly, and the assorted challenges make it more frustrating than enjoyable. I ended up trashing the program wishing I had not spent the money. A lesson learned is to pay attention to demos more carefully otherwise you end with something you could have avoided. *Hell’s Kitchen is, I think, a joke on the entire food competition shows. You have serious ones out there but this one strikes me as more of a trip for Gordon Ramsay then anything else. I mean who wants to spend weeks under his exacting drill sergeant routine to get a job that, if accurate, never quite materializes? You get the title of winning Hell’s Kitchen that season but the promised job does not quite come out that way. Some lesser positions than promised, take cash payouts because they cannot assume the job, or once their contract is up leave. I am certain that in the contract they sign it says you may get the position but it is up to the needs and decision of Gordon Ramsay. And Ramsay admits some of the participants on the show are there to be filler, just there to cause tension and issues to see if the real chefs can be found. And to be honest, I would rather eat the food of most Masterchef contestants and winners than some of those who claim to be cooks on Hells Kitchen. A U.S. Army Air Forces North American B-25B Mitchell bomber takes off from the aircraft carrier USS Hornet (CV-8) during the “Doolittle Raid”. 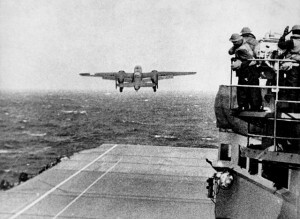 *In April 1942 there was a daring raid on Japan called the Doolittle Raid. B-25’s took off from the aircraft carrier Hornet and bombed industrial sites in Japan. Because they had to take off earlier than expected due to a Japanese craft sighted nearby, they barely had enough fuel to land in China. Some were captured by the Japanese and killed, and some others were imprisoned until freed by American soldiers. A few ended up in Russia (neutral territory since they were not at war with Japan at the time) and interned. They were relocated near to the Iranian border where they were helped to escape over the border into British hands and ultimately back to the U.S. Others who crashed in China were helped by locals and partisans fighting against the Japanese and ultimately would be returned home. Lt. Colonel Doolittle, who had thought the raid was a failure and expected to be court martialed upon return, learned it had boosted morale and widely acclaimed back home. One of its participants, a young Army Air Corps pilot named Ted Lawson, returned home with an amputated leg. He would stay with the Army Air Corps and be promoted to Captain and later Major before retiring in 1945. Lawson wrote a book called Thirty Seconds Over Tokyo which the famous 1944 movie is based on. None of the men involved thought they were heroes but striking a blow to the Japanese for what they did to Pearl Harbor in December, 1941. Wars are not often determined by the largest battles but sometimes the best shots that down the road lead to a more secure victory than thought possible. Titanic Musings: Ismay Home For Sale; Titanic II update, THS Reviews and more! 1. Normally a house sale would not be here except it was once the home of J. Bruce Ismay, former chairman of the White Star Line and Titanic survivor. No need to rehash that story except to note some news reports erroneously connect him as the person who boarded a lifeboat wearing women’s clothes (nope, that was not Ismay). Costello Lodge, in Casla, Galway Ireland was once his home from 1914-1939. Also some reports indicate he exiled himself there after Titanic’s demise but that is not true. He did other things but led a quieter life outside the public. The property has changed hands over the years and the current owners, Jack and Agnes Toohey, purchased it in 1981. It goes up for auction tomorrow and you can read the details of the property here. Needless to say this has generated a buzz with many people wanting to see the place where Ismay once lived. A recent auction of things inside the house drew a large crowd though very little was from Ismay. According to Galway News, so many people showed up they had an overflow crowd. The auction lasted from 12 noon until 9pm, the longest that auctioneer had ever conducted an auction. There was some Titanic memorabilia but most came from the current owners. 74 years after his death, Ismay still generates interest. Clive Palmer also reports that applications to work on Titanic II are coming in. While some are applying to captain it, Palmer says the best jobs will be the activities director along with the head of food services. If recent meals at his Titanic announcement parties are any indication, you will not be taking Titanic II for its low calorie food. 4. Gordon Ramsey, the fiery chef of Hell’s Kitchen(HK), recently admitted in a news interview that many cheftestants were chosen not for their cooking skills but entertainment value. Really? I am shocked like Claude Rain’s character was in Casablanca to learn there was gambling going on. Everyone who has watched this show long enough knows they stack it either with actors or those with low kitchen skills to create drama for the show. And it works since it usually gets Ramsey yelling that they are a bunch of donkeys! In Kitchen Nightmares(KN) it is no secret they often have people come in to specifically say how bad the food is (which is not so hard considering that Gordon has tasted the food already). KN is a different show from HK with real restaurants run by the clueless, foolish, and sometimes arrogant owners who have totally messed up their business. And usually the restaurants are in dire need of his help because things are going bad. They just do no realize how bad until he digs around and shows them. Not long after the show aired, the owner/chef decided to go back to the way it was. Customers dropped off again leading to closure. They usually blame it on Gordon for changing the menu. Debts are so high that even if the restaurant is successful, it cannot be sustained. Restaurants have to pay taxes and if they do not, the state shows up and shutters the place. That has happened to several restaurants Gordon helped. Sometimes the owner goes on and establishes himself elsewhere. Others fold up and go away. Another reason is the landlord raises the rent forcing the restaurant out of business. This happened in the UK version and in the U.S. one as well. Many restaurants folded in recent years due to the economic downturn. People stopped spending money in restaurants and financing became tougher to obtain. Another reason is customers tastes change. Many notable old fashioned Italian restaurants in San Francisco have closed in recent years. These old style family places are out of sync in a city that wants more trendy, lighter fare (but there are exceptions to that rule). Their clientele became older and younger people were no longer coming in. Of course that recent fellow down in Nashville, the one who wears that silly toque and stripped pants, falls into category 1. He knew KN would show the unsanitary conditions, how he cooked fish and meat together (a major faux pas) and generally disdainful of the local people would get bad press for him. So he picked up the phone and called that prize winning newspaper, National Enquirer, to vent before the show aired. He claimed Gordon had wrecked his business by changing the menu, making him wear real pants and take off the toque, and really cook good food again. Yet we know his restaurant is suffering. A news report from 2012 says he was near foreclosure but obviously managed to get financing. He was forced to admit, just before the show aired, that people were going to see things they did not like. Since he has returned to the old menu (and one one wonders that hideous décor), he too may be closing his doors in a year like many others. Blaming it on Gordon is convenient but in the end the restaurant owner has to take responsibility. *We do not provide links to Republic of Ireland newspapers due to policy of demanding payment for links. *Anjelica Finore writes in The Quad about her recent visit to the Titanic exhibition at Franklin Institute in Philadelphia. She writes “I searched for my passenger and learned that she survived but her husband did not. I could not help but feel a connection to her.” Indeed many who have visited the exhibition walk away with the same feeling. For information about dates, times, admission price go to www.fi.edu/titanic/. The exhibition runs till 7 April 2013. * Details, details. According ITV, if Titanic II is to follow the footsteps of the original it needs to get permission from Southampton. 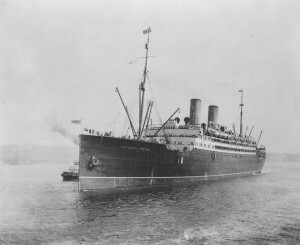 So far the Associated British Ports(ABP), the port owner, has not been contacted by Palmer’s Blue Star Line. While they have terminals to handle the ship, the original one used by Titanic (Berth 44) has no modern passenger or security facilities. 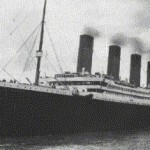 ITV also reports mixed reactions from locals and those connected to Titanic. Bob Prior of British Titanic Society says it is in poor taste. Dot Haisman (her mother was a survivor) believes it will pay tribute to those on board. And Captain Smith’s family is not keen on Titanic II either. *Here are some headlines about Titanic II. Can you guess what they think about it? *There is a funny bit in Ghostbusters II when it is announced that Titanic has docked and the ghosts are getting off! *It is nearly back!!! Hell’s Kitchen (US) once again brings us weeks of that English chef yelling, screaming, and throwing plates and pans into the garbage as he gets mad at the cheftestants for screwing up scallops and other things. Apparently they have made some changes this year to the format. Gordon Ramsey has turned it into an art as to how many times they have to *bleep* his words out. An episode of Anthony Bourdain’s No Reservations reminded me of Titanic. Bourdain visited a New York restaurant where time stopped in the pre-War II era. Waiters deliver food on rolling carts and make final preparations at the table. The menu has long forgotten classics of another time and served only in high end restaurants somewhere in France, preferably one in a chateau. The food demands respect and you do not arrive for a meal wearing casual clothes or shirts only a crazed artist would love. The restaurant is about enjoying classic food that is elegant it its preparation and service. A meal not to be rushed but savored with friends much like it was on Titanic’s fateful voyage. First class meals were served to remind of the best continental restaurants. The First Class Dining Salon and A La Carte restaurant were tailored to the upscale dining experiences its patrons were used to. Nothing was left to chance from the finest woods used for paneling and chairs to the carpets on the floor. Meals required a large staff to not only wait, serve, and to make all necessary preparation to be done for each meal and foods served between them. In 1912 just about everything was done by hand. There were no food processors, immersion blenders, microwaves, or mechanical choppers. It meant hours of chopping, slicing, shredding, and baking. Titanic sailed with a larder that was overflowing from essentials like sugar, fresh produce, to exotic meats and seafood. The first meal was at 7:00 a.m. for early risers in their rooms. Tea, coffee, fruit, scones and jams were likely available along with the ships newspaper, the Atlantic Daily Bulletin. By then the bakers had been up probably since 2:00 a.m. baking bread. Others would arrive later to prep for the days meals. At 8:00 a.m., the bugle sounded breakfast. Etiquette and decorum required that gentlemen and ladies attend meals properly dressed, even if it was for breakfast. It was unthinkable to come dressed in casual clothes. Today we do not bat an eye on cruise ships when at breakfast people show up wearing casual shirts, shorts or jogging pants, and sandals or flip-flops. Back then it would have been scandalous and likely got you turned away! And you would have gotten some stern comments from fellow passengers as well. You did not need to formal wear but you had to look the part of someone who took the time to attire and look proper in being upper class. This required, especially for upper class women, changing of clothes often to match what you would be doing. Men too had the same requirement of having formal, semi-formal, and casual wear. Which contributed to why the rich travelled with so much luggage. A 1912 upper-class family would have real difficulty today with all the assorted trunks of clothing needed while traveling. Formal Edwardian breakfasts were large. King Edward VII (who died in 1910) was known for his big appetite. His breakfasts include fish, grilled meat, poached eggs and spit roasted chicken. First class diners sitting down to breakfast had a menu that offered light meals (fruit, stewed prunes, puffed rice, and Quaker oats). Then it followed the traditional large Edwardian style with fish, grilled meats, eggs made to order, cold meat, rolls, biscuits, jams with coffee or tea. Second class got much of the same. Third class had more simpler fare. There was always oatmeal (or Quaker oats), bread with jams, coffee or tea on the menu. Depending upon the day, it might have an egg dish, fish, stew, meat, or sausages on the menu as well. Lunch was likely the same as well. We do not know what they ate in first class, since those menus did not survive, but we have a good idea what Lawrence Beesley likely ate. The sample menu shows they started out with a hot soup, roasted meat, followed by cold meats and salads, dessert, fresh fruit, and cheese. In third class the main meal was midday. It had soup, grilled or roasted meats or fish, vegetable, biscuits and bread, and a dessert. Tea time had grilled or roasted meats, fish, or even a rabbit pie. Cheeses, vegetables, fruits, fresh bread, and of course tea. The specimen menu in Last Dinner on the Titanic notes “Kosher Meat Supplied and Cooked for Jewish Passengers as desired.” It is safe to say food in second and third class was of a quality many never had at home. Dinners were a major event for first and second class passengers. The First Class Saloon and Al La Carte restaurant cooked elegant and sophisticated meals for those that expected the best. The A La Carte restaurant was even more high end than First Class Dining. It also allowed the diners to select what they wanted to eat. They likely had eight courses to choose from along with the optional, but usually obligatory, ninth course where dessert (fresh fruits and cheeses) was often served. First Class served an astounding eleven courses. Waiters would bring out the food on platters, offered something from every dish, and made wine suggestions. Thus you could take as much or as little as wanted to eat. It is a ritual out of fashion today. We cannot imagine sitting at a table for hours consuming such quantities of food. Yet many did during this period in history. In Last Dinner on the Titanic the authors advise to serve small portions and drinking only a small glass of wine with each course. Many of the dishes served on Titanic, in fact much of that high end food, went out of fashion though not forgotten. The Edwardian style of large meals has also gone away replaced by a four to six courses that usually includes appetizers, salad (or something similar), entrée, dessert, coffee or tea. High end eating, of course, has not faded away. Bourdain’s trip to a restaurant that celebrated classics of long ago reminds one you do not need to have Edwardian feasts to enjoy high end old style French cooking. You just need to find the place and respect the food. -A good show that lacks the interpersonal drama you get with regular Top Chef. The downside is that they are all accomplished chefs with many years in the kitchen. The means the competition is tougher because the standard is high. -This explains why the judges are tough. They expect something extraordinary and explains why they sent Carmen home in the Wedding Wars episode. They know she is accomplished chef but all she produced was crab cakes and a corn salad. They expected more and she restrained herself (to her regret no doubt). -It is amusing, at times, to move chefs out of their comfort zone. Sosur Lee had no idea what a tailgating party was. I guess up in Canada they have nothing similar for hockey, soccer, or baseball. He came close to making the mistake of a chef in Top Chef:Chicago who had no idea either. Sosur made a delicious meal but came dangerously close to following the mistake of the Top Chef cheftestant with the Austrian dumpling. Gale Greene was right to lightly tap him for it by telling him a tailgate is not the best place for culture. On the other hand Jonathan Waxman lost his inner Yoda and phoned in his contribution resulting in his near elimination. And we learned grilled pizza is good but you need to bring your A game to compete on this level. -A lost Edwardian in search of a feast best describes Travel Channel’s Man vs. Food. Adam Richman travels around eating the largest portions of food he can find. He goes to a city, finds the places serving the largest portions, chows down, and then takes on a food challenge. The challenge usually is to eat a super-sized meal that many have tried but few have won. He sometimes wins but food often fights back hard to defeat him. Want to drink a gallon of milkshakes? Adam tried and ended up throwing up ending in food win. One wonders how his doctor feels about the high calories he is taking in! -Andrew Zimmern travels the world showing us the unusual foods that people eat. Sometimes it is not that exotic with suckling pig in Spain but goes there with bull testicles. Then it was cancelled and they tried something called Bizarre World. All it took for me to avoid the show was seeing Zimmern in body paint (head to toe) for some exotic ritual. Others must have had the same reaction and it did not last so they brought back the show, but with a real twist. Now Andrew travels away from the cities and into the country to see the foods that city people avoid for the most part. How about a dish of fried tarantulas (which sometimes explode in the pan) or raw intestines with poop still in them? Good luck Andrew. -I do not watch the Food Network much these days. I used to long ago but now it is more about entertaining then serious cooking. That does not mean there are not chefs there who try to teach good cooking, it is not just the emphasis anymore. Alton Brown is pretty good and Giada is not bad either. A lot of people dump on Rachael Ray (like Bourdain) for being successful. She does not teach cooking like they do over at America’s Test Kitchen (an excellent PBS show) but does make it accessible to a wide variety of people. I suppose the ding is that she really just shows how to throw things together rather than learning how to really cook. Success does breed contempt at times and this is an example of it. -Chopped is not a bad show. A slimmed down Top Chef, it has it cheftestants compete for $10,000. To do this they must cook up meals for each segment (appetizers, entrée, and dessert) from a basket of items they cannot see until they open them up. If at the end of each segment a chef fails, then as quick as a guillotine chopping the watermelon, that person is gone. The last two left standing then are judged not only on dessert but everything they presented. And the judges are one tough lot. I am convinced they make them drink lemon juice because they never smile. When they are served food they do not like, they tell you right there. Ted Allen, who was a great guest judge on Top Chef, hosts. -The Next Food Network Star. Here is a great idea: why not create a talent show to find the next Rachael Ray (or God helps us Bobby Flay)? So the goal here is not to find a top chef but a chef with great personality that people will watch. That distinction is crucial. The winner gets a contract for six shows. Only two have managed to generate ratings that get them renewed (which has to make one wonder how successful this program really is). -And here is the evil: Hell’s Kitchen. Hell’s Kitchen is aptly named since Gordon Ramsey and his cohorts treat the aspiring hires (the prize is a job either with Ramsey or other restaurant) pretty rough. And the people selected are not Top Chef or even Next Food Network Star material. These are the C and D list of cooks. And the punishments meted out to the losers of each round are sometimes childish, silly, stinky, or downright borderline harassment. Sometimes some promising chefs are found but mostly these sad sacks are likely put there by producers to get the desired effect. Which is to see how many times Gordon Ramsey will yell <deleted> at the chefs. Bonus points awarded when he takes plates or pans and throws them into the garbage.